Laugh, cry, dance, sing, cover your ears, ask yourself what on earth you just heard. What The Cat Dragged In throws a bunch of influences collected over the years into “the newest, advanced instant composing machine” and creates freely improvised unique mini compositions. A tune here, blistering atonality there – anything can happen. And it does. We have no idea what a performance will sound like, so, sorry, we can’t tell you either. But you can find some, never to be repeated samples below. Multi-instrumentalist and improviser Jan Schellink has chalked up many miles on the Utrecht fringe scene with one-off, often weird and always totally original performances. From the electric wok to crazy, ambitious and theatrical happenings with multiple guests, Jan’s done it all. 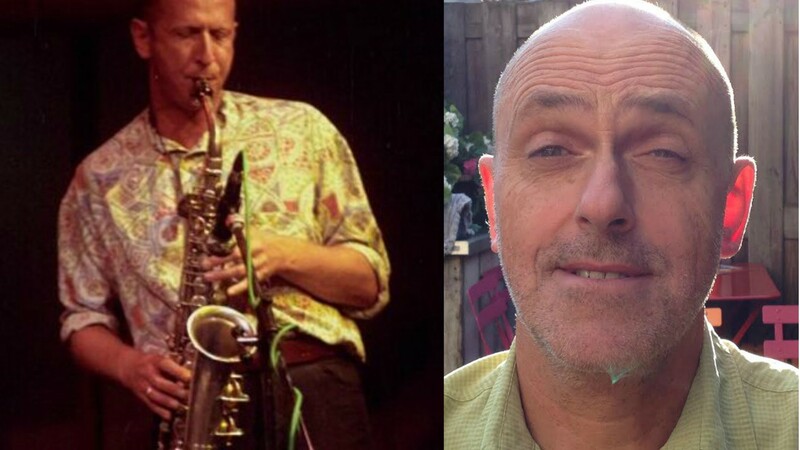 What The Cat Dragged In is a duo with Stuart Boardman on sax and clarinet. Back when Stuart was a Londoner he was active in the London Musicians Collective and worked with luminaries of the free improvisation scene such as Eddie Prévost, as well as playing African music (mostly Congolese) in the ground breaking Ivory Coasters and later Somo Somo. After thousands (and one) of auditions we have a guest selected check Lukas Simonis!